The Scuf Vantage is pricey, but it offers noticeable performance improvements over the DualShock 4. 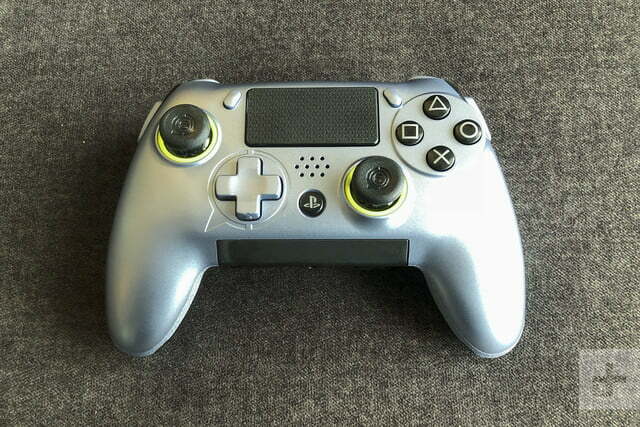 While the standard DualShock 4 that comes with every PlayStation 4 system is a solid option for most players, Sony lacks a customizable gamepad for its more dedicated players. Scuf Gaming, a company that specializes in pro gaming accessories, acknowledged this and created the Scuf Vantage, a highly customizable controller designed to improve your performance, comfort, and playtime. 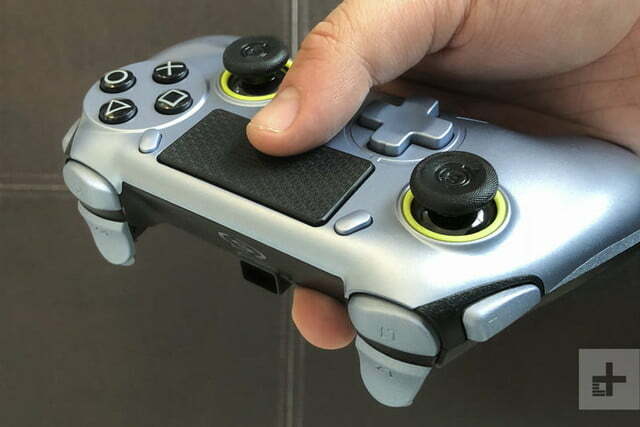 Its price — $170 for the wired model and $200 for the wireless Bluetooth – certainly reflects this, and its customization options are wonderful, but the Scuf Vantage also has a few issues you need to know about before going in. After taking the Scuf Vantage out of the box and removing a few stickers, it was ready to be paired with a PlayStation 4. The wireless model features a toggle switch on the bottom that allows you to switch from Bluetooth to wired on the fly, and the 10 ft micro-USB cable is long enough to accommodate most gaming setups. The wireless Scuf Vantage controller feels sturdy, and is slightly heavier than the DualShock 4, while the wired model weighs about the same. 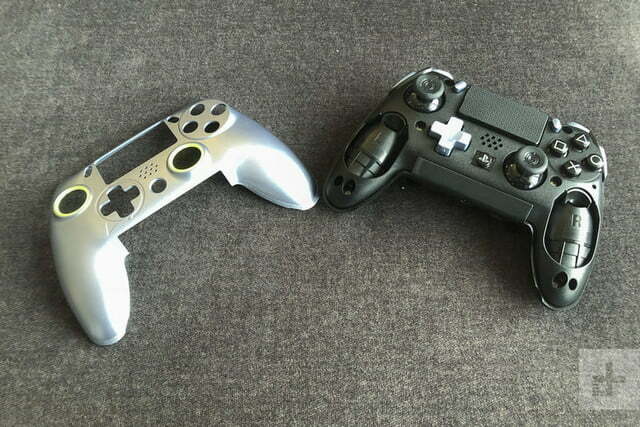 There’s also a convenient option to reduce the weight on both controllers by removing the rumble motors inside. 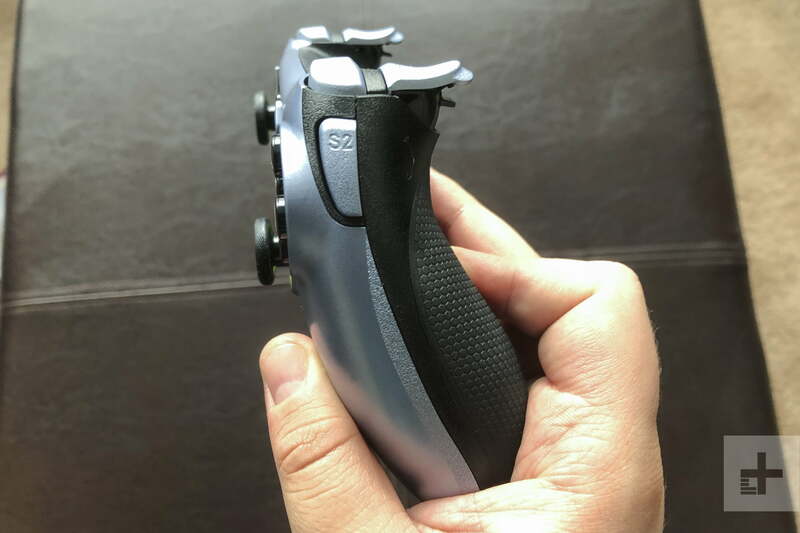 Before customizing anything, the Scuf Vantage already feels like an improvement over the DualShock 4. 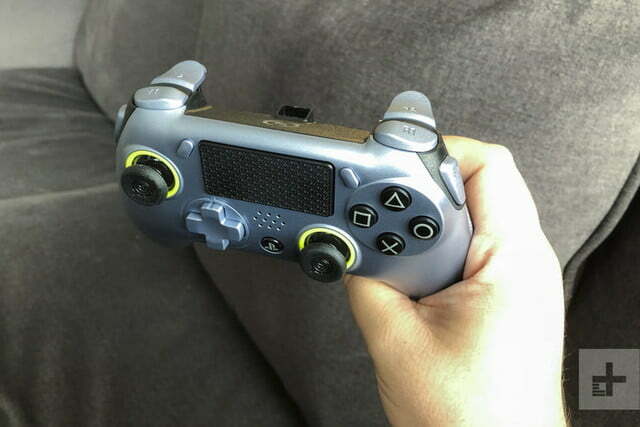 The analog sticks are arranged asymmetrically and have a concave design without the rubber grip that’s prone to wear on Sony’s model. 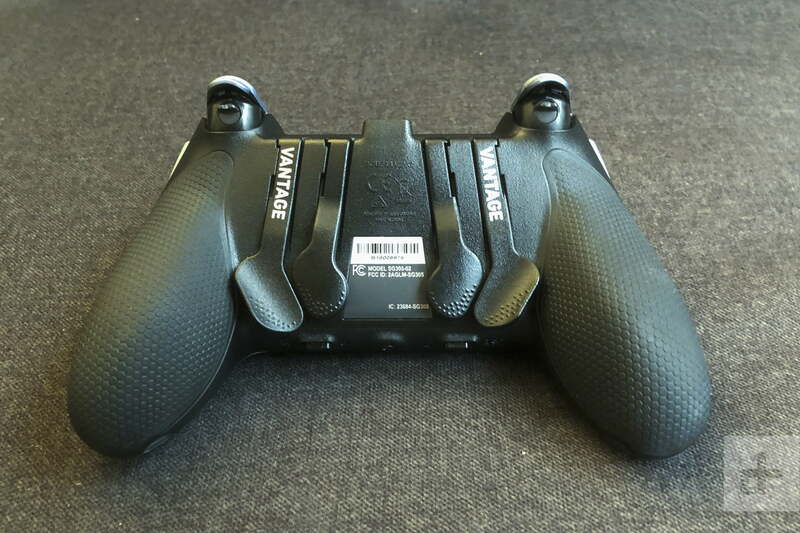 The Vantage sports a more traditional directional pad and overall, has a layout similar to Microsoft’s Xbox controller. 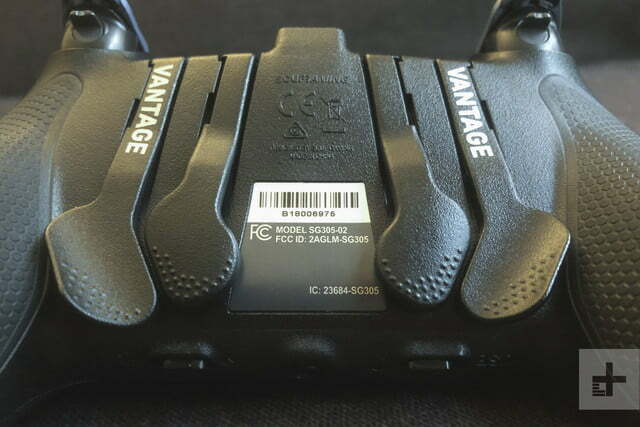 We noticed a distinct click with a bit of resistance when using the bumpers (R1 and L1) on the Vantage that revealed these were mechanical buttons. We actually preferred Sony’s Dualshock 4 bumpers over these and unfortunately, you can’t switch them out for something else. 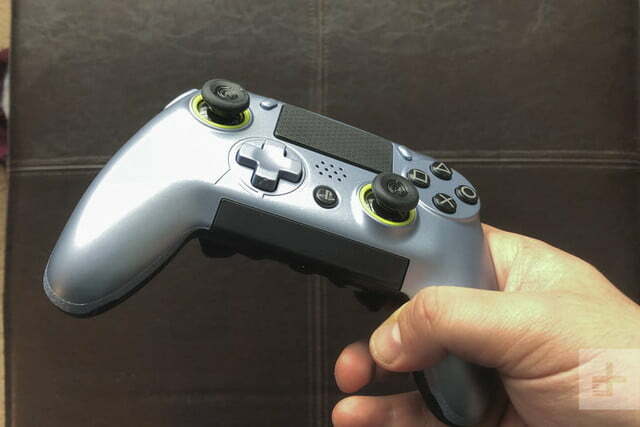 Outside of a PS4 controller’s usual buttons, the Scuf Vantage includes four paddles on the back that can be programmed to perform any other controller function with just a flick of a switch and two button presses. The paddles are ideal for remapping face buttons so your thumbs never have to leave the analog sticks, though we found the inner paddles a little hard to reach. Don’t like the color your controller came with? Just pop the magnetic faceplate off and replace it with a different one. A “Sax” button is located on either side on the controller, providing even more custom button remapping. These actually came in handy the most during our time with the Vantage, as they kept us from to move our thumb to the directional pad during intense moments. During a mission in Warhammer 40,000: Inquisitor — Martyr, for instance, we were able to keep our hands on the sticks and swap weapons at the same time. If you prefer a more traditional setup, then that’s also an option with the Scuf Vantage. The paddles and Sax buttons can all be removed but with a potential setback. While the Sax buttons pop off without any problems, removing the paddles reveals a small opening where you can see the wires of the controller. This means that dirt or debris can get inside and potentially cause damage if you choose to leave the paddles off. This may not be a risk worth taking especially with a controller that has such a high price tag. The Scuf Vantage takes customization a step further. Don’t like the color your controller came with? Just pop the magnetic faceplate off and replace it with a different one. After you remove the faceplate, you can also pop out both analog sticks and swap them with a variety of different sizes and shapes. Some of these replacement parts are included and others are available in an extra accessories kit. The directional pad can also be replaced with a circle pad, and the trigger covers pop off in case you want to add longer ones in their place. In our experience, we found that the Vantage as-is works just fine, but its many options cater to all playstyles. 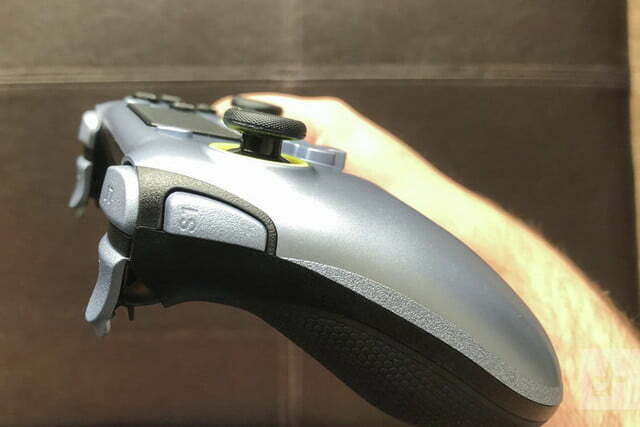 The small switches on the underside of each trigger can turn into hair-triggers, perfect for first-person shooters, though they’re incompatible with some games. If the triggers are too tight or loose for your liking, you can adjust them with an included key, as well. A couple of issues we encountered made us a bit skeptical of the $200 price tag on the wireless Scuf Vantage. The first problem being the limited access to it’s audio. 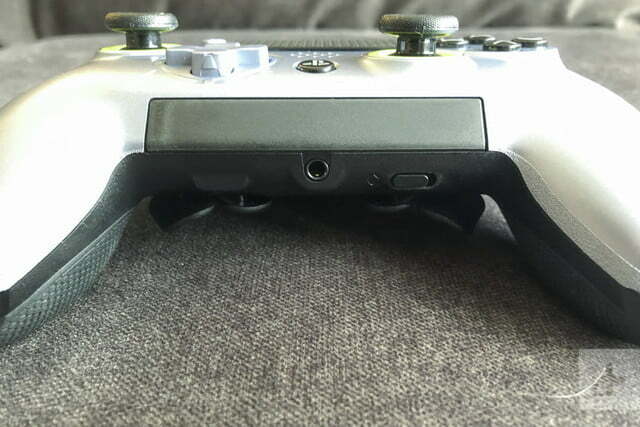 There’s a touchbar located underneath the PlayStation button lets you easily adjust your headset and controller volume, but it only works when the controller is using a wired USB connection. In fact, you can’t even use the headset or controller audio when Bluetooth is enabled. The high-performance Scuf Vantage will easily outlast your primary DualShock 4 controller. The next issue is related to charging the controller. While the Scuf Vantage’s battery life far exceeds the Dualshock 4’s, we did encounter one very bizarre problem when charging it. 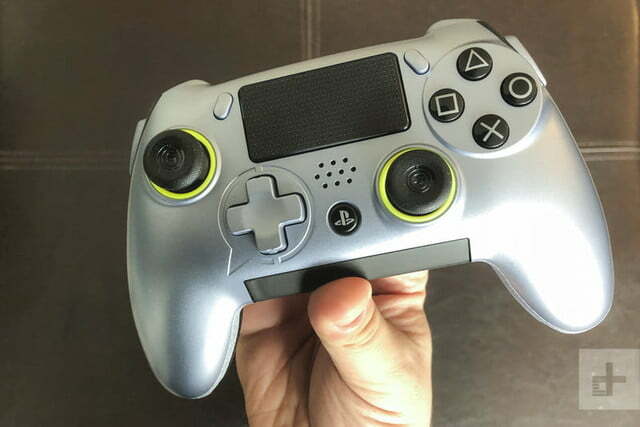 Scuf Gaming recommends only using the PlayStation 4 to charge the Vantage, but after connecting the two and putting the system into rest mode, the controller turned the console back on after about 10 minutes. With no option to keep the PS4 asleep, the only alternatives are to leave the console on for the sole purpose of charging the controller or charge the controller while you’re playing. We were told this was the result of the controller switching between Bluetooth and USB to initiate the charging process, but it didn’t make the issue any less annoying, especially after hearing that it’s supposed to do that. 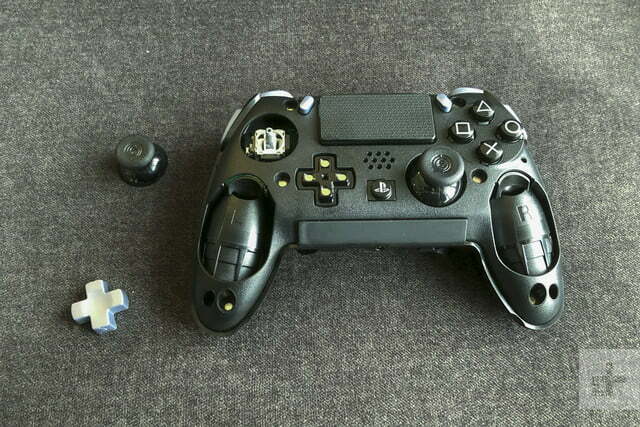 We also ran into an issue with the left analog stick drifting after a few months of use. 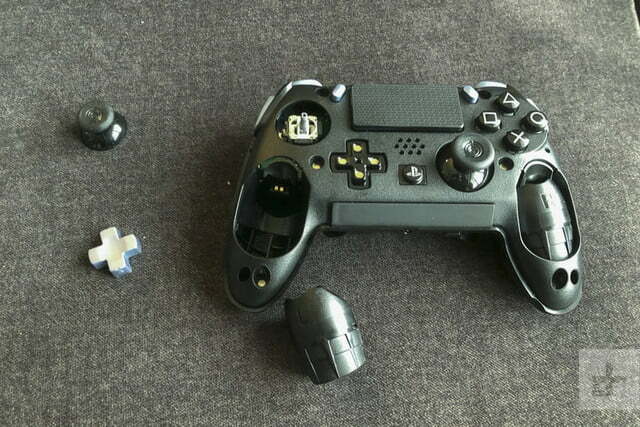 Scuf claimed this was due to a firmware problem and sent us a new model with the update installed. The issue appears to have gone away. If you’re purchasing a new Scuf Vantage today, it should have the most recent firmware on it already. The Scuf Vantage is backed by a 180-day limited warranty that begins on the date of purchase. 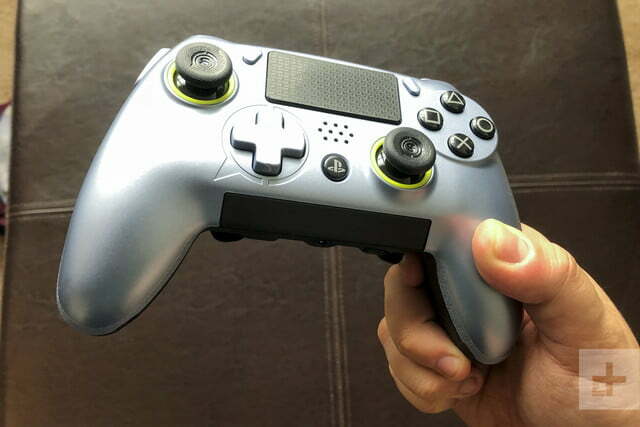 The Scuf Vantage is an excellent gamepad that anyone with some extra cash to spend should definitely consider, but you need to be aware of its potential issues. At a minimum of $170, it’s not the best option for casual players, but those in need of something beyond the cookie-cutter DualShock 4 should still consider it. 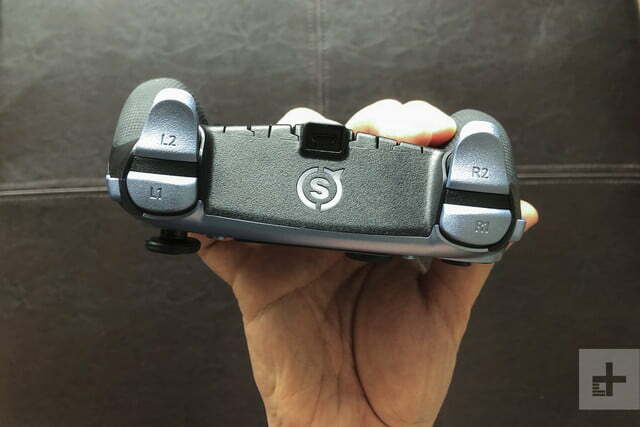 There are other “pro” style controllers on the market, but the Scuf’s customization options are seriously impressive. The Scuf Vantage is a high-performance controller that can easily outlast your primary DualShock 4. Yes, if you are in need of extra customization options above all else.